3 months into owning my Star Trek Pro and it still has that NIB smell. Whenever I come down into the basement it hits me, I can't quite describe it, the new electronics, the wood, all have a certain odor. It's better than a new car smell. Call me crazy, but I love that smell. Never smelled it before. Just wood, electronics, and mildew. Yours is probably a lot nicer though, although mine is closer to free! I swear I have a game that's so pristine after 30 years it still seems to have that NIB smell. I'm not making this up either. Im with you man ...I opened up my huo tz yesterday and it has that same new smell that my nib sterns do . Actually I believe you saw my tz? Yeah man, it's me! Haha. I'd love to get back down there sometime and see your current lineup, particularly the Congo. The RBION has been great for TK. You can visit me too but stay away from my minty Laser War, it's never leaving! Oooooh that smell. I'm gonna go dip my nose inside the coin door and get a big whiff before I go to bed. Man Nellie has a B E A U T I F U L L smell. Go on, give it a whiff! Dude, your Twilight Zone played awesome and looked incredible and I finally realized why that game is rated where it's at after experiencing yours. Never enjoyed it prior to that. It also motivated me to help twist TK's arm into getting one for his collection. I should have taken a sniff of the inside, that NIB smell is awesome and it's great to see some older titles that were preserved well enough to have similar qualities. Yea its a amazing pin but I actually been thinking of selling it to get some other stuff but I just cant pull the trigger yet even know ive been made a very very awesome offer . Ill never find another as nice tho which really makes it a hard decision. Agreed, once it's gone, that's it. I've had a few very generous offers for a few of my games but I just can't do it either. People think I'm crazy for not selling, but I didn't get into this to make money. Someone should make an air freshener that has the NIB smell for people who's games aren't so fresh and clean. I bought a new TSPP and owned it for about 4 years. 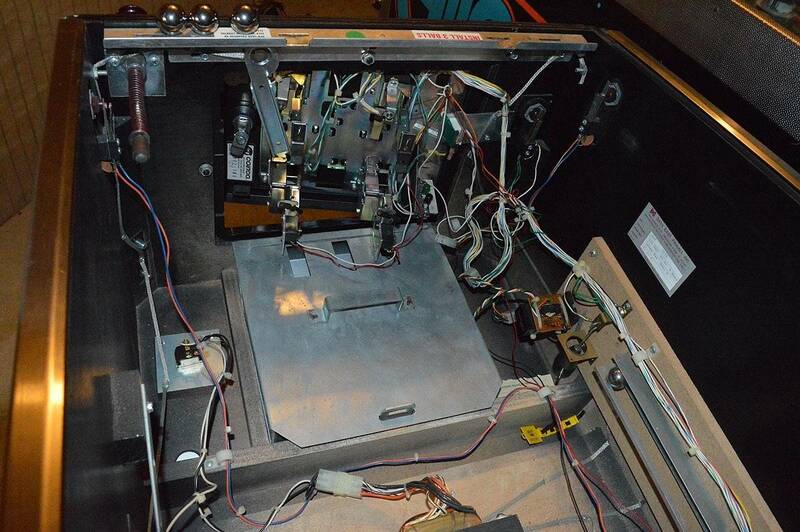 It still smelled like fresh cut wood when you popped open the playfield. I think this is normal, but we're all just used to rank old games that sat in a stanky bowling alley for 30 years.